Physician-assisted dying (PAD) is receiving increasing media and academic attention, and legalization is expanding internationally. The potential legitimization of this practice is laden with medical, legal, and ethical considerations. Regardless of legality or willingness to participate, clinicians must be able to respond to enquiries about this topic, whether the patient’s aim is information gathering or a formal request to end his or her life. Government of Canada website: Medical Assistance in Dying. https://www.canada.ca/en/health-canada/services/medical-assistance-dying.html#a2. Accessed 12 May 2017. Royal Dutch Medical Association (KNMG). 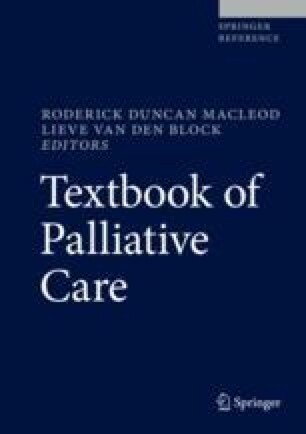 Guideline for Palliative Sedation [Internet]. 2009. Available from: https://www.knmg.nl/contact/about-knmg.htm. Victoria becomes first state to legalise assisted dying as parliament passes bill. https://www.theguardian.com/society/2017/nov/29/victoria-becomes-first-state-to-legalise-assisted-dying-as-parliament-passes-bill. Accessed 28 Jan 2018.